Today was the Spindle Spinning for beginners workshop at Woool in The Hague, it was a really cool afternoon! The day started with a lot of rain and melting snow creating slush and puddles. 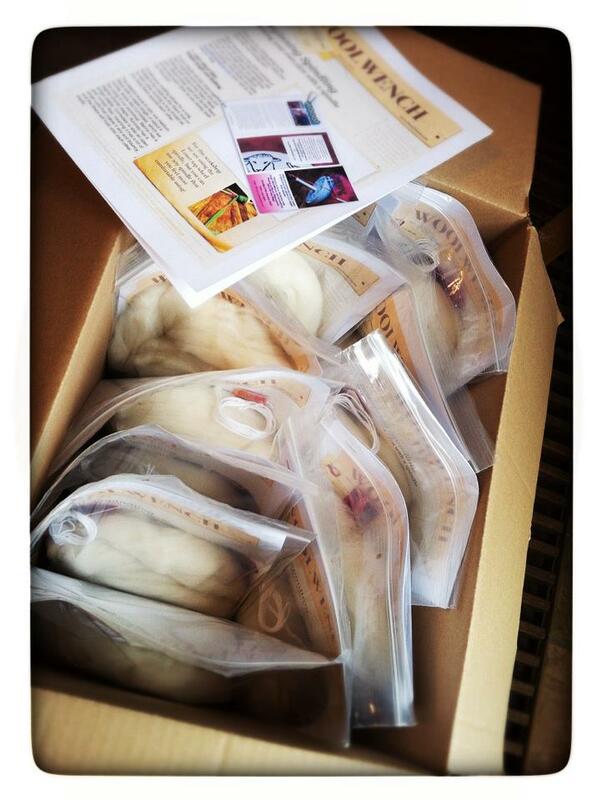 We managed to leave on time, tooled up with a box of Louet spindles and another box full of dyed roving and the kits I had made for everyone. The kits included some lovely light Corriedale, which I think is perfect for beginning spindlers, its easy to draft with a good staple length, I also gave everyone a three page info sheet covering the basics of what I would be showing during the workshop, because I think its always handy to have something to take home as a reminder of the key points. The rovings brightened up the dull morning! 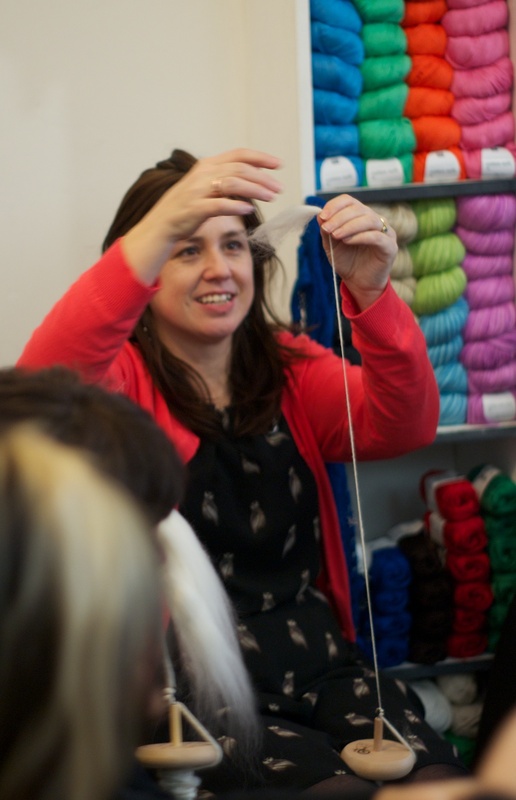 I really like going to Woool, because Pauline (Woooly proprietor) has a great sense of humour and is possibly more of a yarn geek than I am, and she is also a very talented knitter who makes awesome things with yarn. 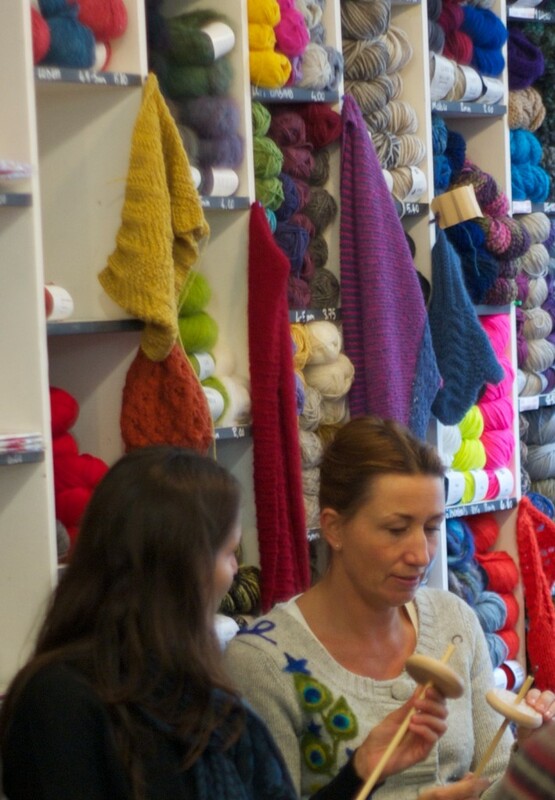 And also, well, this shop is full of yarn! Really pretty yarn. Whats not to enjoy! So anyway, when I got there Pauline had everything ready in this Aladdins cave of fiber, people started arriving, and all twelve of us settled ourselves with spindles at the ready. .
We started with the basics, fiber choice, drafting, making a leader, twisting wool.. There was less dropping than I expected and a lot more spindling than I had hoped for! These people were all naturals! Even Pauline, who was sure she wouldn’t get it, was making a lovely yarn within about 15 minutes of getting her leader on the spindle. I think in the end, my usual over-preparation before teaching anything must have helped, because I don’t think I forgot anything, and by the end of our two hour session everyone had a spindle full of yarn for their efforts. No Tardis required thank you very much. On March 17 we have our second spindle spinning workshop planned, for anyone who can spin a single, wants some pointers, and to learn to ply, standard two ply and navajo plying with a spindle! 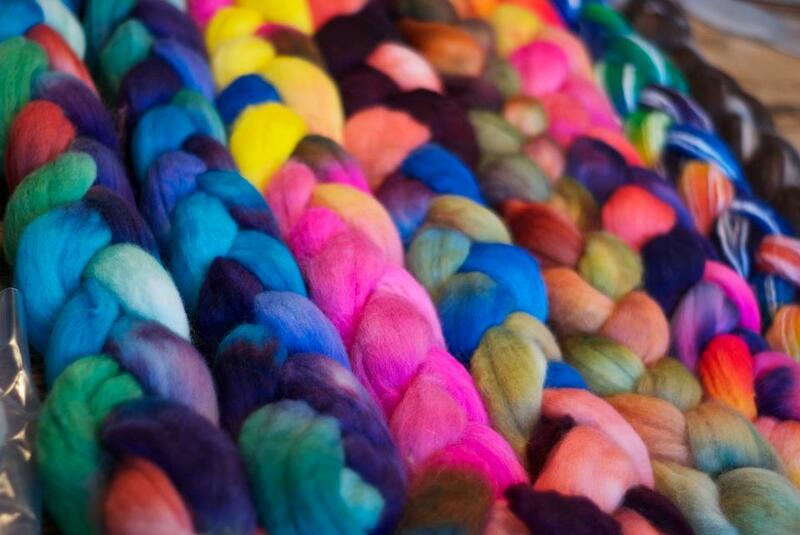 We will also do some thick and thin (on purpose) and this time, THIS time we are going to be spinning from fluffy batts with lots of SPARKLE in them! I am looking forward to it already! If you would like to join in, just contact me or Pauline at Woool and get your name on the workshop list! More information on my Workshops page. What fun you must have had, especially with all the participants “catching on” so quickly. I guess that shows what a good teacher you are! !